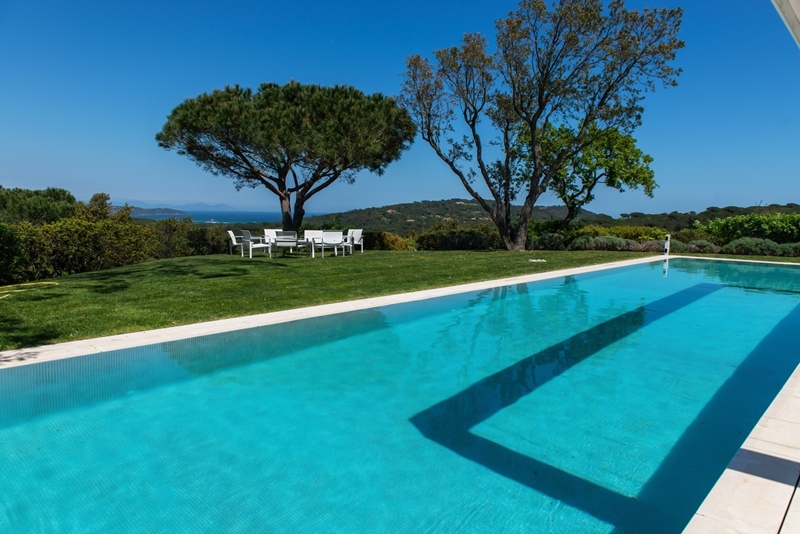 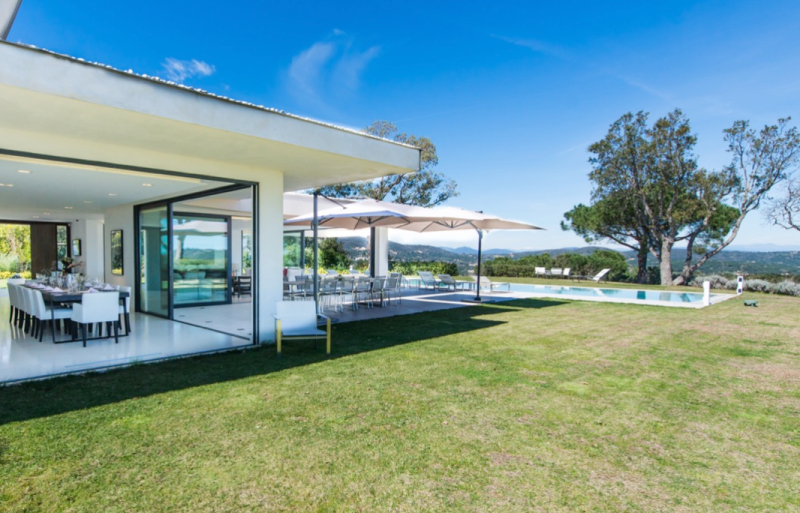 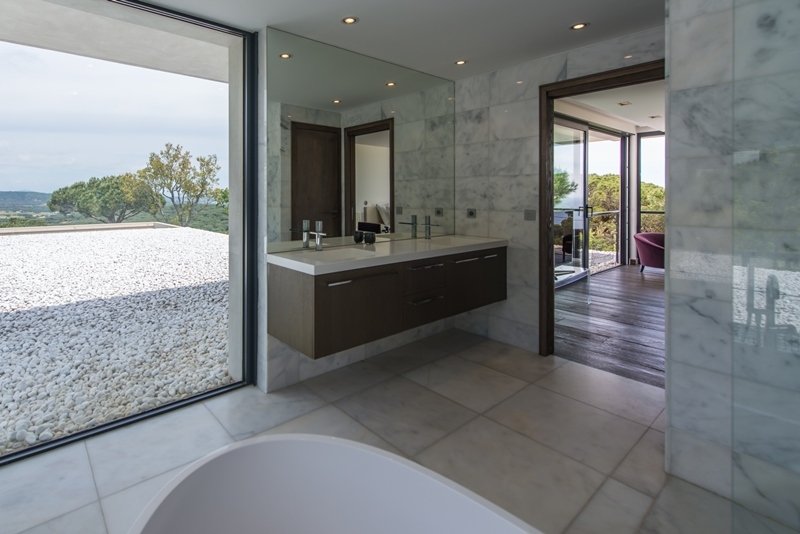 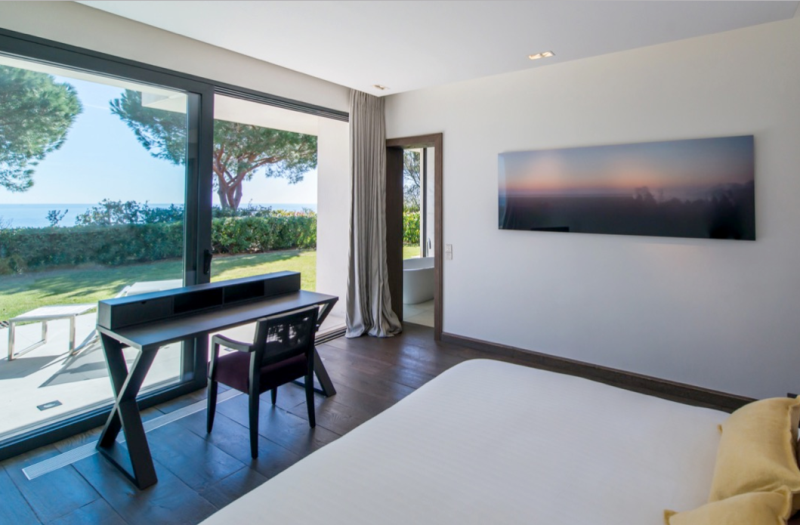 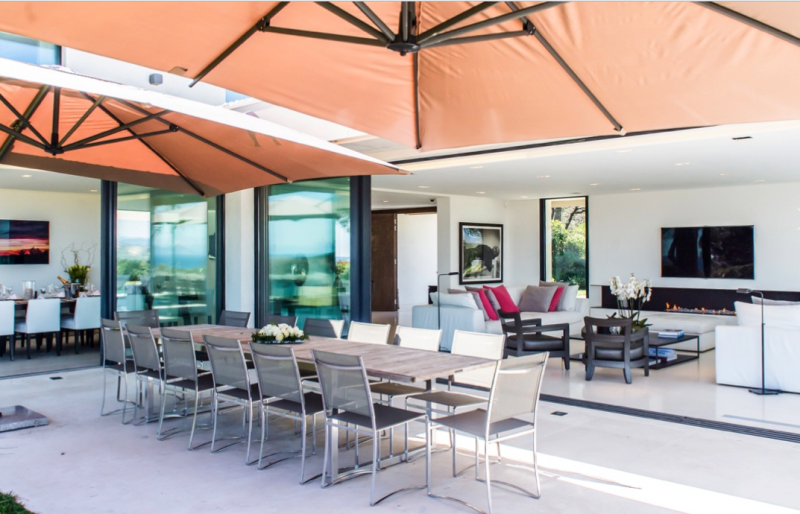 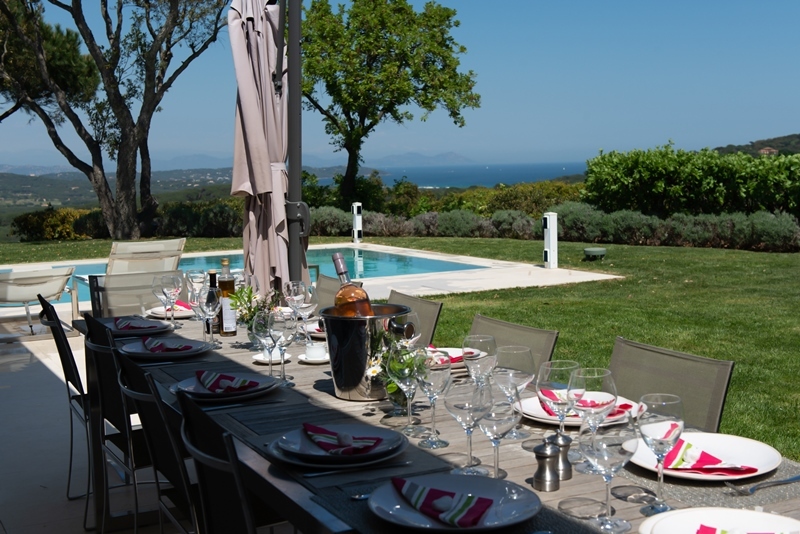 This stunning contemporary villa, in L'Escalet, is only a 10 minute drive to Saint Tropez and 5 minutes to the Pampelonne beaches as well as walking distance to the Escalet beach. 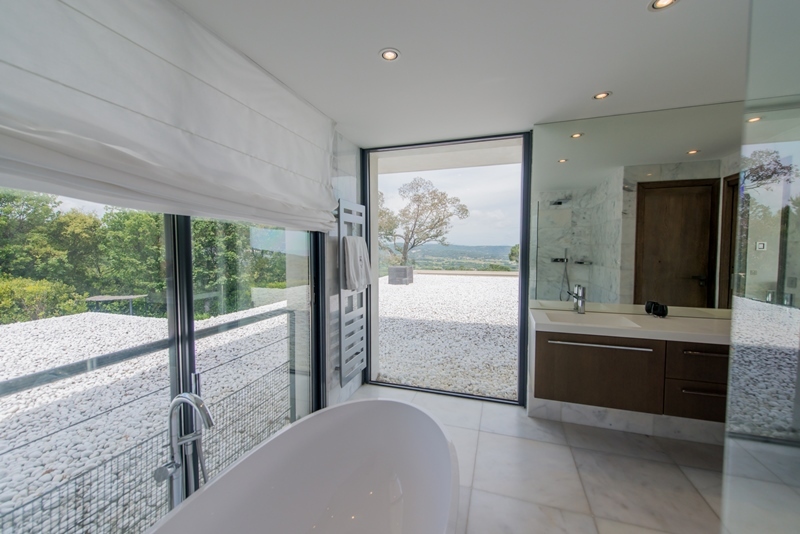 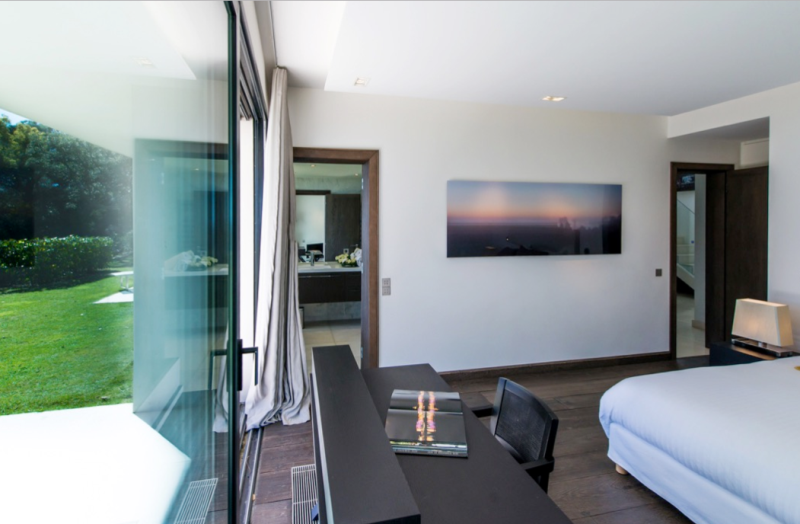 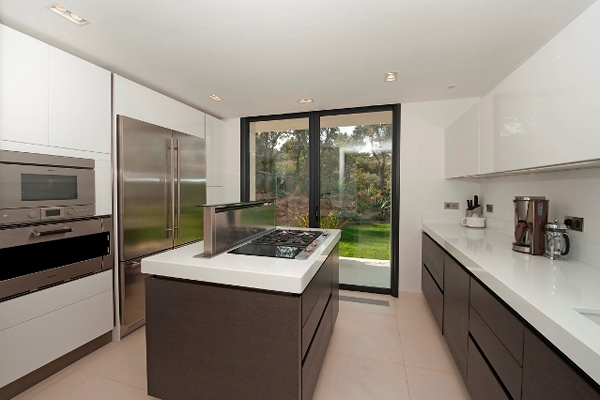 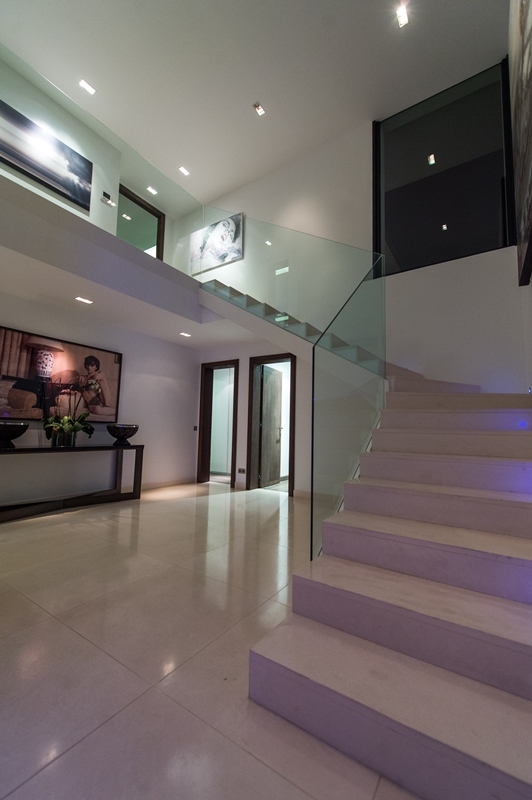 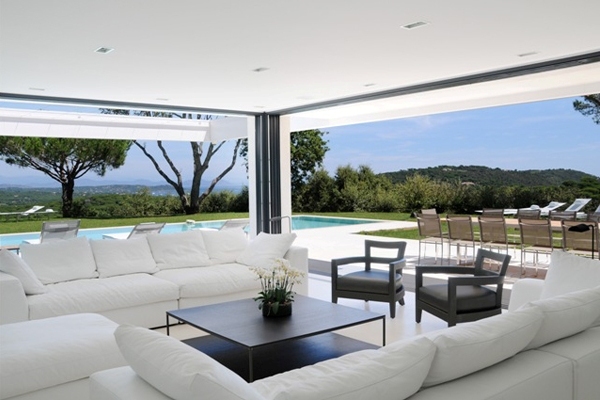 This impressive contemporary villa offers 8 bedrooms, on three levels (500m2). 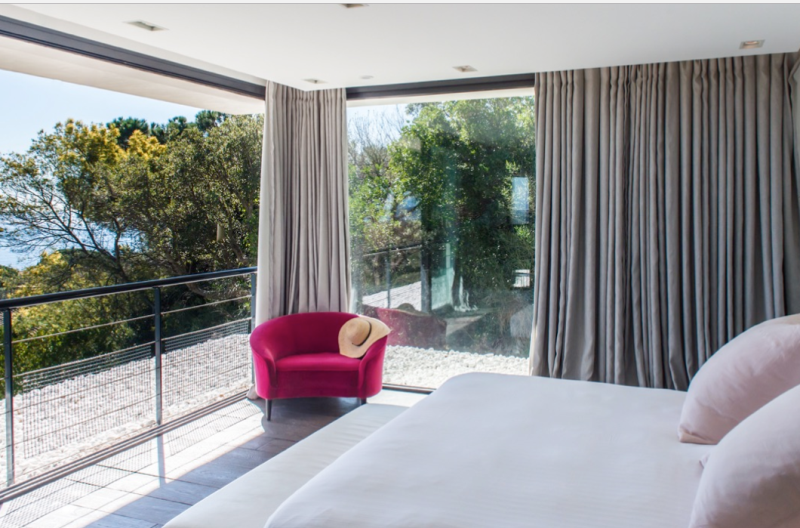 Two master bedrooms on the top floor offer amazing sea views. 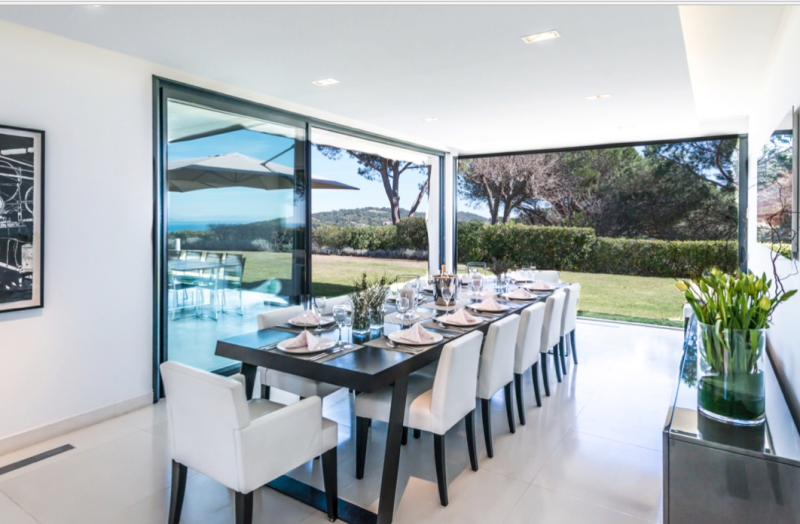 A large living room and dining room have a panoramic sea view and open onto large terraces as well as a mirror swimming pool. 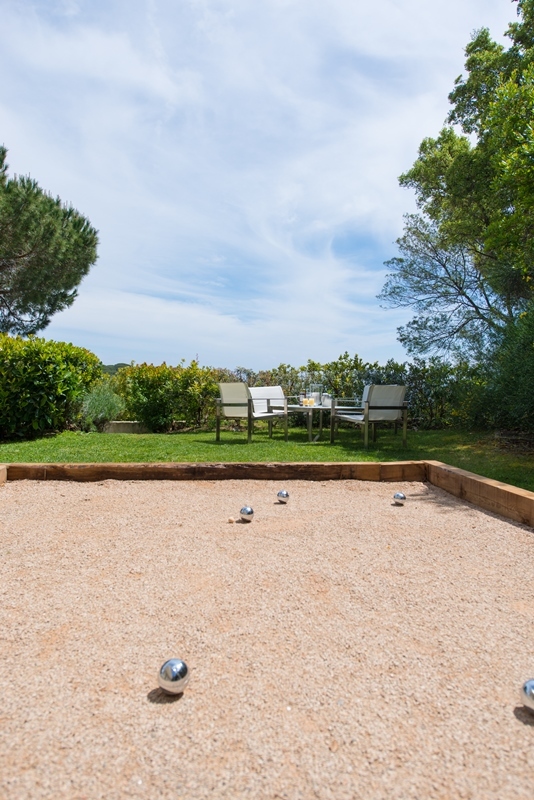 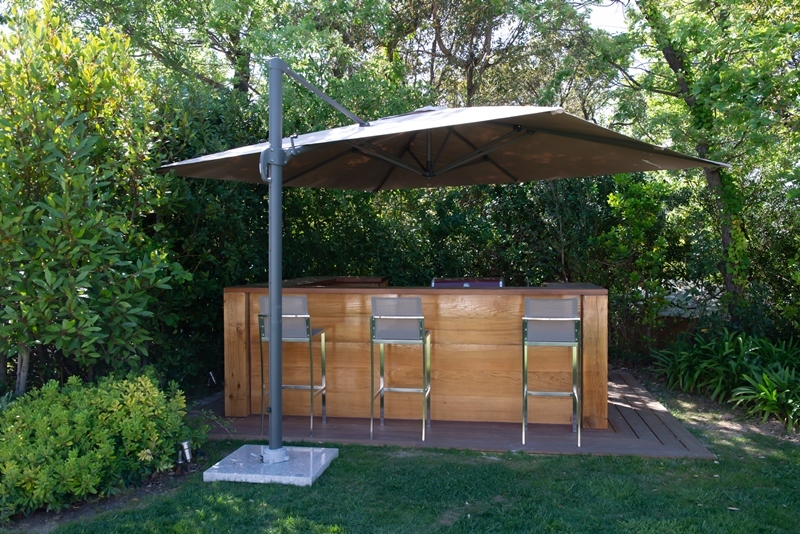 This villa is ideal for relaxation, located in a very quiet area set in a large garden, surrounded by oak.